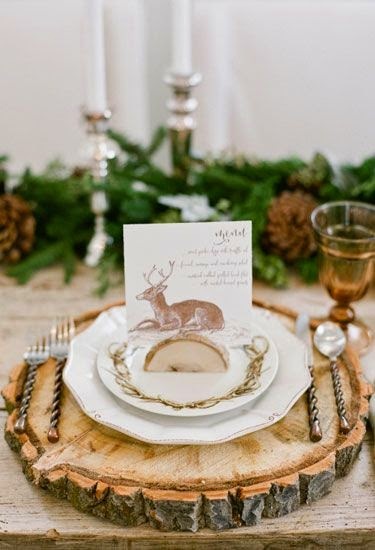 In honor of the week before Thanksgiving, I'm going to help you out with your tablescape ideas with a quick roundup of prettiness. Oh, and I of course apologize for being a little absent here lately but I promise that's about to change. Now back to Thanksgiving tablescapes. There's no need to stress about dressing your Turkey Day table...pick a color, add some coordinating pumpkins and candles and you are totes good to go. Let's see some examples shall we? 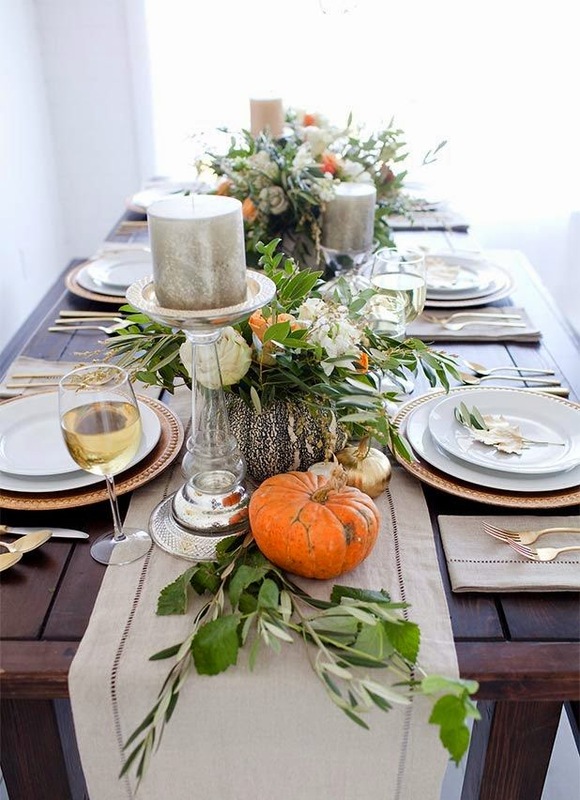 I also like this natural look with orange pumpkins and greenery. 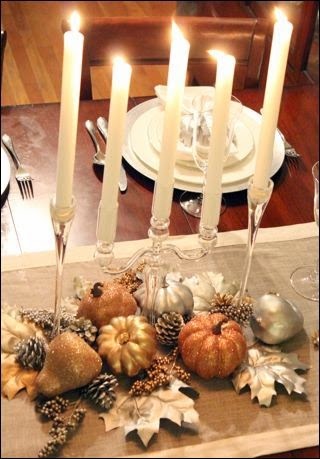 Talk about little effort big impact, this centerpiece is perfection! 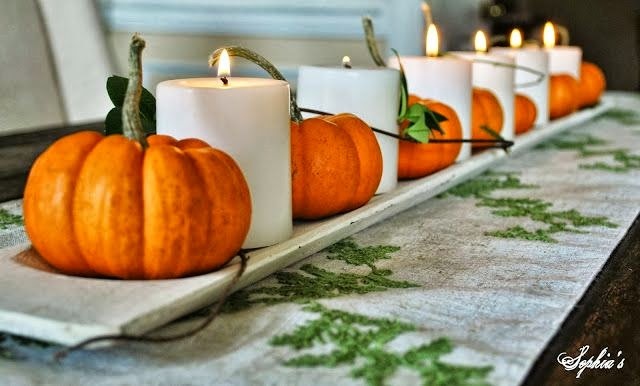 Small pumpkins and white pillar candle create a simple look. 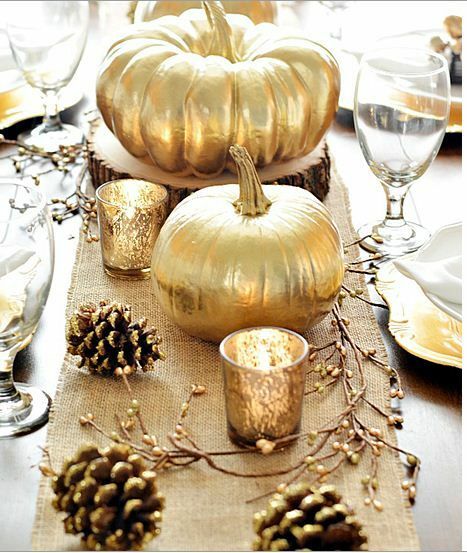 The candlesticks and gilded pumpkins create a dramatic, elegant look. 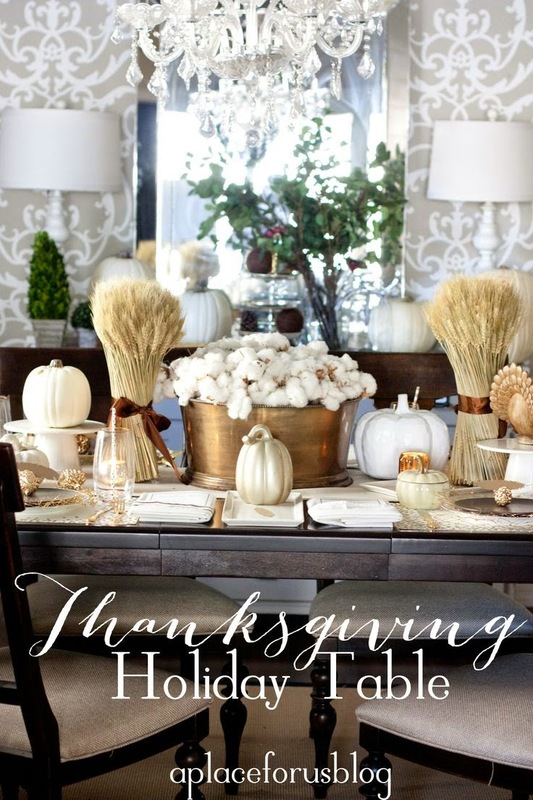 I love the white table setting with wheat stalks and hints of gold. If you're in a rustic mood, this tree stump charger is perfect for you! 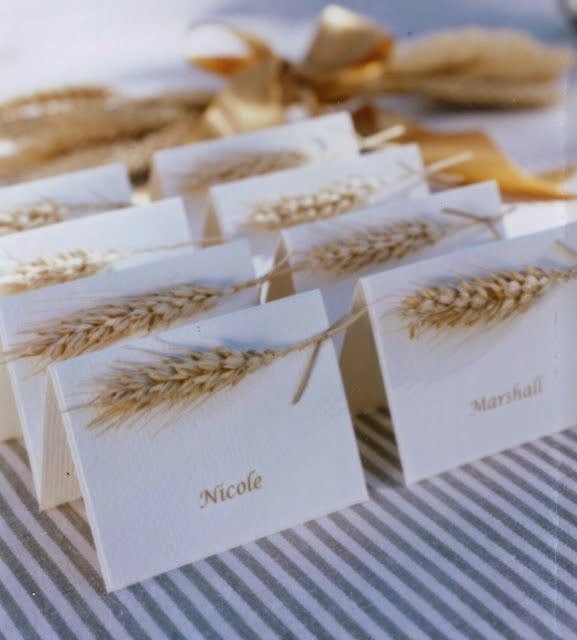 I'm loving these wheat placecards. 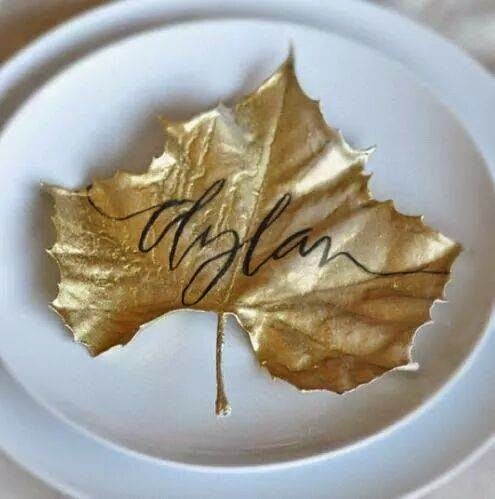 I have to say I'm obsessed with this golden leaf placecard. 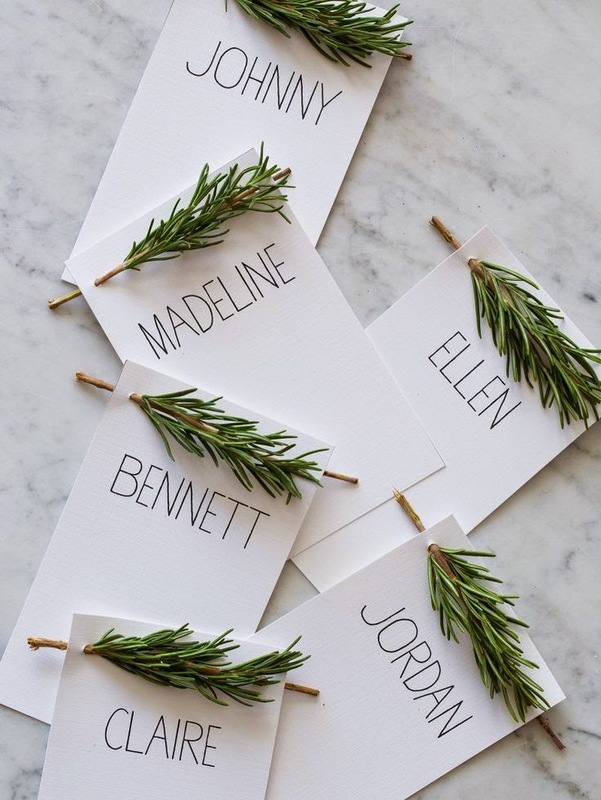 I've seen this rosemary placecard around the web and knew I had to feature it. I can smell the rosemary now! If you have extra close pins laying around, paint them and use them as placecard holders to achieve this look. I love brown kraft paper, and this tablecloth allows you to write the guests names directly on the table and provides easy cleanup. 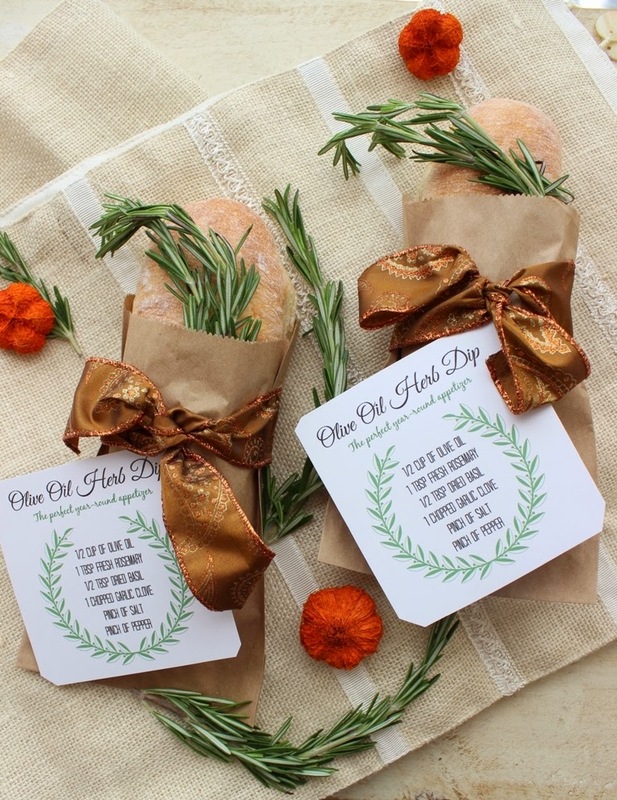 Finally, my friend Melissa over at Melissa Creates has a beautiful post sharing her Thanksgiving appetizer favors. You can't go wrong sending your guests home with this! 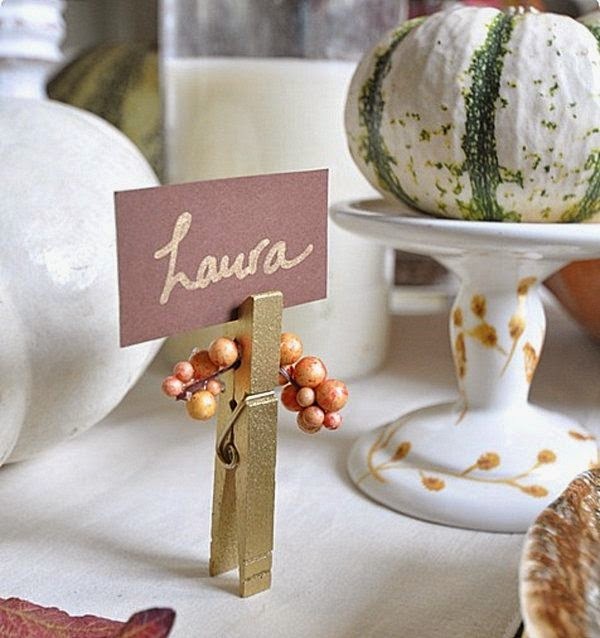 So there you have it, I've solved your Thanksgiving tablescape concerns! I still haven't figured out our table scape for next week, so this is perfect! Looking forward to finding out more about your surprises in store! Astounding distribute you share without a doubt i'm typical devotee of your site and that i look at this full distribute till stop and i truly like it extremely a decent arrangement. i as of late got here over your weblog and have been perusing along.